From the producers of Hostel and Dawn of the Dead, comes a disturbing tale about one man's faith and how it is tested in dark times. 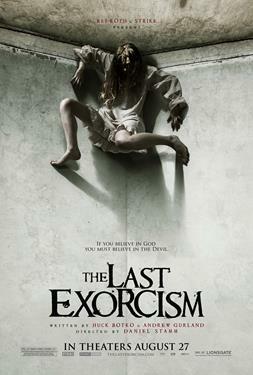 After a career spent helping the devout through prayer, Reverend Cotton Marcus (Patrick Fabian) invites a film crew to document his final fraudulent days as an exorcist. Soon his faith is truly tested when a desperate plea from the father of possessed girly (Ashley Bell) brings him face to face with the devil himself.